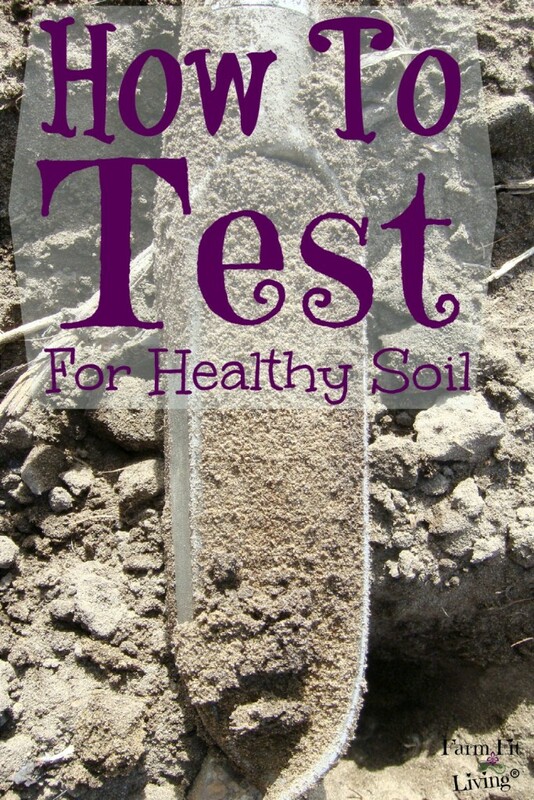 Have you been wondering about a soil test for your garden, yard or field? Soil test to find out the health of your soil. You will be able to determine the nutrients your plants need to grow and produce for you. There are actually numerous reasons why you should complete a soil test. The main reason is because the environment of the soil will determine plant growth and performance. A good tomato plant is not going to yield well if it’s not getting the nutrients it needs. Just like you. You don’t perform well in mind or body when you don’t fuel your own body with proper nutrients. You can’t be your greatest self without proper nutrition and rest! And since soil can’t tell you what it’s lacking until it’s too late, a soil test can tell you. If you act on completing a soil test in a timely manner, there will be plenty of time to act on providing your garden or farm soil with just the right nutrients. So, what is holding you back from testing your soil? The following guide will give you the information you need to complete the requirements for a soil test. You’ll find out what nutrients are in the soil. You’ll be able to make an improvement plan for your soil. If you’re considering the reasons a soil test would be a good investment, please note the piece of mind here is the key. And your garden budget. Because wouldn’t you apply fertilizer anyway? You might be applying too much fertilizer, thus spending more on your garden fertilizer than you need to. Reduce your inputs and your expenses by testing your soil. Whether you’re planting in the Fall or Spring, it’s not too late to test your soil for pH and nutrients. Or lack thereof. In fact, soil testing is so important for the health of any plant you are growing. The results can spell out many problems you may not have thought of before. What Do the Results of a Soil Test Tell You? You can also choose to test for numerous micro and macro nutrients certain plants may require to thrive. There are many package options that soil testing labs provide. If you have questions, contact them and just ask. Because it’s important to know what your nutrient content is so you aren’t guessing when applying your fertilizer. Don’t ever assume you know what nutrients are already in your soil. The main goal you should be striving for is a great balance of the common nutrients needed in the soil. And that balance doesn’t always appear to you through the open eye. The results of your soil test will tell you what is in your soil. And it will give you recommendations for applying the right amount of fertilizer to help your garden grow even better. Plus, it’s super cheap! The cost of the test is usually around $10 for the testing of basic nutrients in the soil. Believe me – The investment is worth it. Even though a soil cost is a meager investment, it can truly save you money in the long run as well as your crop. Recommendations from the results will reveal what your soil needs. The results show how much fertilizer to add to your soil, making it much easier to maintain a high level of fertility year after year. 1. Use a soil probe, spade, or shovel to sample the soil profile to a depth of 8-12 inches from the root zone. 2. Take at least 10 samples around your area, combining all the samples into a clean bucket or pail. This provides a representative sample of the entire garden area. 3. Pull about a pint of soil from your bucket or pail and take it to your local Extension Office. They may have special soil bags for you to put your soil in. Label the bags as directed. Depending on your county or district office, your Extension Agent will be able to tell you the next procedure. My Extension Agent sends the samples to the university lab, but yours may use a different lab for accurate testing. Here’s where you can start to find your local office: Cooperative Extension Service. The results may take up to two weeks to arrive. However, nowadays results are sent via email so it is a much quicker process. There are some things you can do to plan for gardening season while you wait for the results of your test. Once your soil is sent to a lab to be tested, it could take around 10 days or sooner for the results to come back. In the mean time, you could be planning your garden layout, getting your fences ready and looking into fertilizer options. Keep yourself busy during this time. 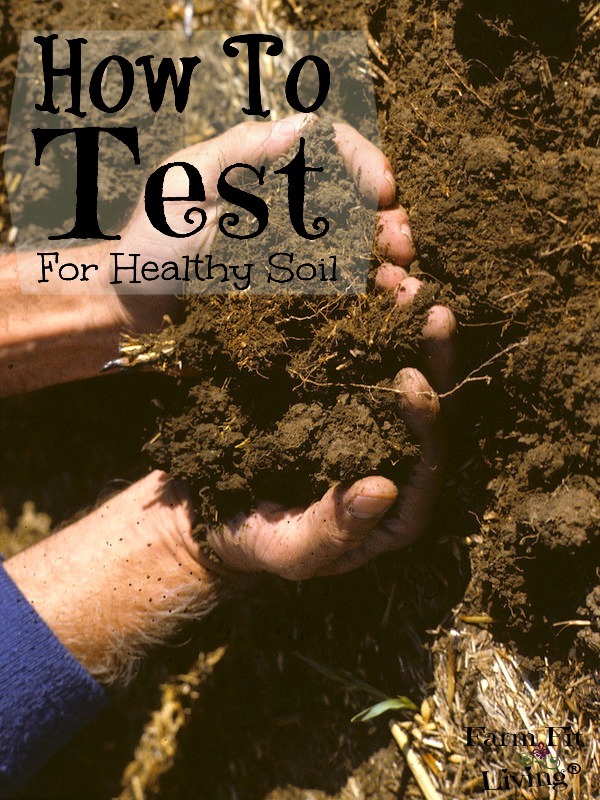 Don’t stress about applying your garden soil test. Know that your samples are in the right hands. You’ll get quality and sufficient results that will enable you to properly fuel your soil for greater growing results. When you do get those results back, your Extension Agent or soil expert will give you recommendations based on the area in which you live. Recommendations will include the amount of each nutrient the soil area needs. Pay close attention to the recommended rate of application provided. That will tell you how much fertilizer you will need to acquire to apply. No matter where you live, requirement for different vegetables and crops will remain the same. Here’s a great publication I refer to quite often to understand soil test recommendations for whatever I’m planting: Click HERE. Different zones and climates across the country will have different ways and methods of testing the soil. Start with your local Extension office or gardening mentor to find the right person to help you send your soil to the right laboratory for accurate testing. As soon as your results and recommendations make sense to you, act on your fertilizer plans. Apply the right amount of the right nutrients your soil will need to perform at its best. Once you know what nutrients your soil needs, you can act. There are several ways to feed your garden soil. First of all, apply a fertilizer using the numbers recommended by the results of the soil test. An example would be 10-10-10 representing N-P-K. Check the bag of fertilizer for appropriate combinations. Another way to keep soil healthy is to apply a good layer of organic matter over the top in the off season. It’s important to allow the soil to rest or to rotate a crop that will improve the nutrient content of the soil. For example, legumes after grasses is a good Nitrogen building technique. Finally, there are many options for organic fertilizers in the form of livestock manure or bagged fertilizers. You have many options but the most important option you have is to feed your soil. And this is why a soil test is so important to complete. I test my garden soil every three years for an accurate reading of nutrients to keep my gardens growing healthy. Because the soil test way is a cheap and easy way to maintain nutrients. 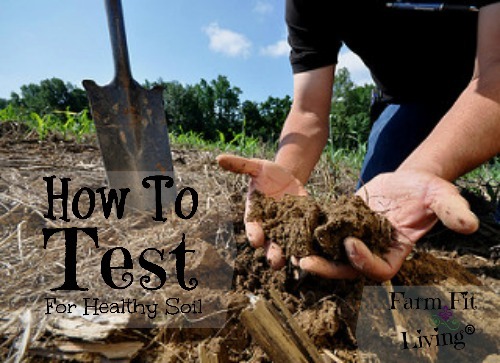 In the long run, routine testing will keep you and your soil on check to a steady level of high quality results in your gardens and farm ground. Whether you choose the “one and done” option or the routine test option, you’re making the right choice. By testing to know what’s in your soil, you’re making the decision to know and understand your soil. And the soil is the foundation of growing everything. You need to know your soil. So, Why Not Soil Test? What are you waiting for? I’ve given you all the reasons why you should complete a soil test in either early spring before planting or late fall. Because if those tomatoes are not producing county fair quality tomatoes, you will wish you could know why. Soil test results could have told you why by presenting the amount of nutrients currently in the soil. It’s just the right investment you need to maximize the amount of product that tomato plant will yield. The soil test will not only tell you what nutrients are in the soil submitted to the soil testing lab. It will also give you sound recommendations you can follow for proper application of nutrients. Now, what’s holding you back? If you’re garden is producing just the way you want it to, then you may do nothing. But, if you are not seeing the results you want, now is the time to do something. Complete a soil test for quality investment to quantify your garden and your life. 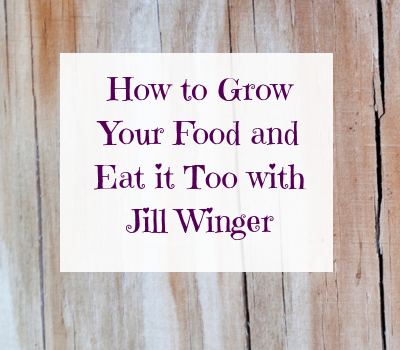 I have never thought about testing my garden’s soil – maybe I should! We moved to a new farm last year, so this year will be my second time having a garden here. Do you have a solution for rabbits… That was my main problem last year 😉 Our dog is getting too old I guess – she doesn’t chase them away anymore! I’ll keep my eye out for the post! Adding organic nutrients into the soil is a must for healthy soil. Getting a soil test is definitely the correct approach to achieving healthy soils for gardening. Once you get your test and find that you need to ammend your soils, choose Organic Fertilizers. Organic Fertilizers are “slow release” which means they aren’t going to show immediate results, but will release their nutrients slowly over the growing season. The benefits of this approach is less work to apply fertilizers and knowing there aren’t harmful chemicals on your property. http://www.McGearyOrganics.com offers many high quality fertilizers offer compost as a base. My next door neighbor got her degree in horticulture so she helps me a lot with my lawn needs. My mother has the greenest thumb I’ve ever seen but that didn’t pass on to me. I can barely manage a houseplant. That’s awesome you have such a good mentor nearby! Just keep asking and you’ll learn more and more. Interesting!! I always joke with people that my thumb is black. Any plants I buy for the home die almost immediately – even when I try my best to care for them. Probably because I don’t know all these helpful gardening things like you do! Thank you for sharing! But a good reminder never hurts — thanks for sharing! I’m glad you learned this in school. Nowadays, schools are not teaching this stuff. It’s so important! How interesting. I’m not sure how our soil is. I really don’t plant that much since I tend to kill everything. A soil test can tell you a lot and will give you recommendations for what your soil needs to grow good plants. This is very interesting, I have not done a soil test but I will keep this post for future reference. I have lots of cacti and orchids inside our home. Great, Sheri! Glad I could help. I know cacti and orchids require different nutrients than vegetables do to thrive. Plus, they are inside your home, so I’m sure they are very happy and well cared for in a temperature controlled environment. Thanks for sharing the great insights on soil testing though I’ve never done it ever in my life! My mom loves gardening and she has a beautiful garden. I saw her adding rich organic minerals, manure and fertilizers to her plants when I was kid and I used to help her by watering her plants! There was a reason she was adding in all those nutrients. Healthy soil = Healthy plants! I’m glad you got to experience time in the garden. My daughter’s job is to water plants. We were suggested a soil test as well when we moved to our new home few years back and despite being fish about it initially I am sure it helped a lot in finding the best you need to grow plants around. The good thing about soil test is you can find ideas to grow some unique plants as well that might grow well in your garden which usually does not fare well in any other place! This is all great info! I always have a garden in the Summer! I am going to tuck this info away for next Spring!! Great article. I need to take my soil sample in. Thanks for the reminder. I know mine needs work.